J.MARTINEZ SIGNS FOUR YEARS DEAL WITH ATHLETICO MADRID. Its been #hashtag WelcomeJackson all through last night as the spanish side completes his move to Athletico last night on a €24.5 Million from Porto Fc. The 28 year old striker who scored a whooping sum total of 92 goals in his three years stay at Porto as now completed his move to Spain. of our team and will bring plenty to the group. 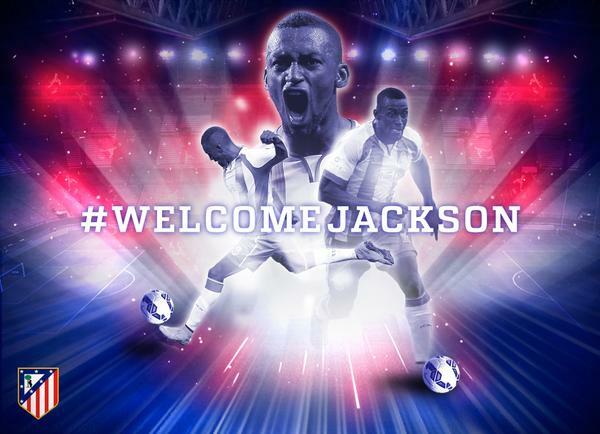 team, following the arrivals of Luciano Vietto and Yannick Ferreira Carrasco..
Great move Jackson Martinez. Welcome to Spain.